European powers have warned Venezuelan President Nicolás Maduro that he must call elections or they will officially recognise the opposition’s claim of leadership. Venezuela later rejected the ultimatum at a UN meeting, where divisions between world powers were laid bare. Foreign Minister Jorge Arreaza told members of the UN Security Council in New York that Mr Maduro’s presidency was legitimate, and the country would not be pressured into calling elections. “Nobody is going to give us deadlines or tell us if there are elections or not,” he said. 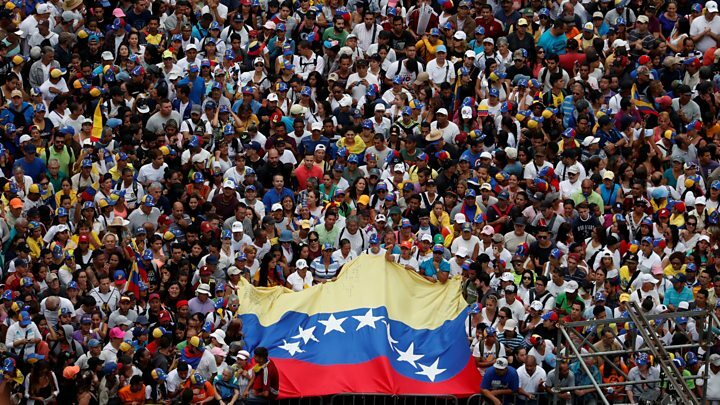 President Maduro was sworn in for a second term earlier this month, in an election marred by an opposition boycott and allegations of vote-rigging, leading to large anti-Maduro protests. He accuses Mr Guaidó, the head of the National Assembly, of mounting a coup. On Saturday, permanent Security Council members France and the UK joined Germany, Spain and other European nations in what looked like a co-ordinated demand that elections be held in Venezuela within eight days. An EU statement was more cautious, seeking fresh elections or the bloc would take “further actions, including on the issue of recognition of the country’s leadership”. Speaking on behalf of the EU, UK Foreign Office Minister Sir Alan Duncan said Venezuela needed a government “that truly represents the will of the Venezuelan people”. 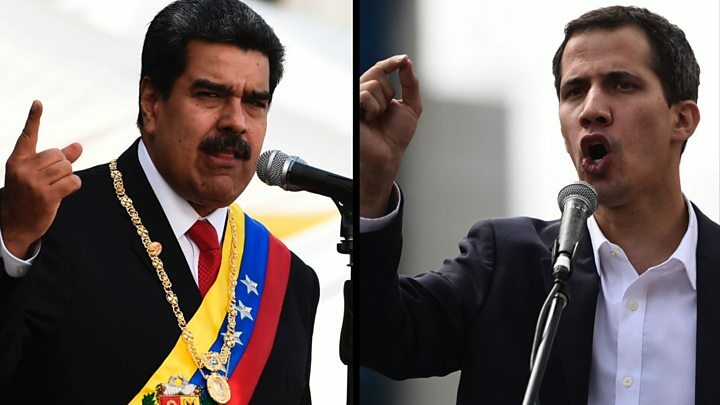 Russia, a UN Security Council member, has said foreign support for Mr Guaidó violates international law and is a “direct path to bloodshed”. China, Mexico and Turkey have also publicly backed Mr Maduro. Discussions at the UN on Saturday were tense as nations clashed on how to resolve the crisis in Venezuela. US Secretary of State Mike Pompeo accused Russia and China of “propping up a failed regime” and said it was time to “support the Venezuelan people immediately”. He said the council was not established to “support regime change” and called for further dialogue to “find a way forward”. China’s representative to the UN, Ma Zhaoxu, said that while his country was committed to the “purposes and principles” of the council, the situation in Venezuela “does not constitute a threat to national security” and China “does not interfere in other countries’ internal affairs”. So, it’s the US versus Russia again at the UN – this time over Venezuela. The old Cold War adversaries are sparring once more. New subject. Predictable game. It’s more or less “my enemy’s enemy must be my friend”. Washington says Venezuela represents a threat to peace and security in the region. Moscow says it is Washington which represents the threat, risking a descent into uncontrolled violence. For all the war of words at the UN, this does look increasingly like a crunch moment for Venezuela and its profoundly polarised society.